Thomas Jefferson’s slave chef, James Hemings, was responsible for popularizing many French dishes in the U.S. including Mac and Cheese and Crème Brûlée. The Thomas Jefferson Foundation: The remains of a fireplace in Thomas Jefferson’s kitchen. After venturing down into the cellar of Thomas Jefferson’s Monticello plantation in Virginia, archaeologists have uncovered one of the biggest culinary finds in history. There, they discovered the 250-year old kitchen belonging to Thomas Jefferson and his enslaved chef, James Hemings, according to Live Science. Wikimedia Commons: Thomas Jefferson’s Monticello plantation. 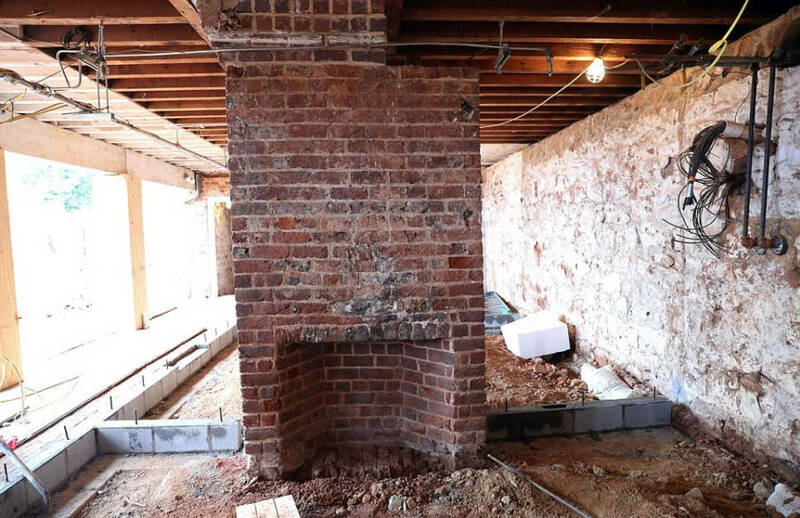 After gaining access to the cellar in 2017, which has long been off-limits to archaeologists, they found Hemings’ brick kitchen floor, four stew stoves, and the remains of a fireplace. In addition, the also found several other artifacts including toothbrushes, broken ceramics, fragments of glass bottles and beads. The stew stoves that were found were used for making dishes that required slow heating and multiple pans and were most more common in European kitchens. The site and artifacts will be on display at a new exhibit in the Summer of 2018. However, it’s not the artifacts that make the find so incredible, but the history that it comes along with. It is here, where Chef Hemings cooked up such dishes as macaroni and cheese, crème brûlée, meringues, and whipped cream, which would later become popular to American culture. 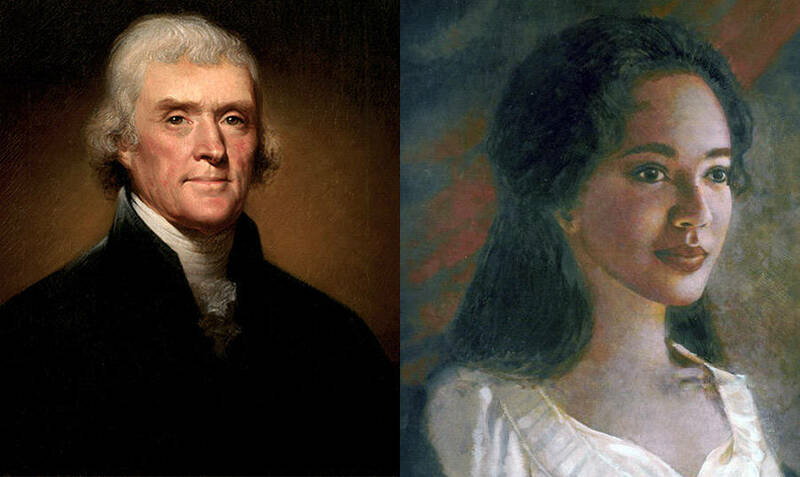 Wikimedia Commons/The Thomas Jefferson FoundationThomas Jefferson and Sally Hemings, James’ younger sister. James Hemings was born in 1765 and became Jefferson’s slave in 1774. Now, if that last name sounds familiar, it’s because James Hemings was also the older brother of Sally Hemings, the woman who Jefferson kept as a slave and a lover. That purpose turned out to be for cooking. So at the age of 19, Hemings was taught the fine arts of French cuisine and some of our now-favorite dishes by Jefferson’s female pastry chef and the chef of the Prince de Condé. As a quick learner, he would soon become the chef de cuisine at the Hôtel de Langeac, Jefferson’s private residence on the Champs-Elysées. Interestingly enough, while in France, Hemings was ordered to be paid a wage under the law. At the time, French law stated that any slave that stepped onto French soil could be freed if they chose that option. 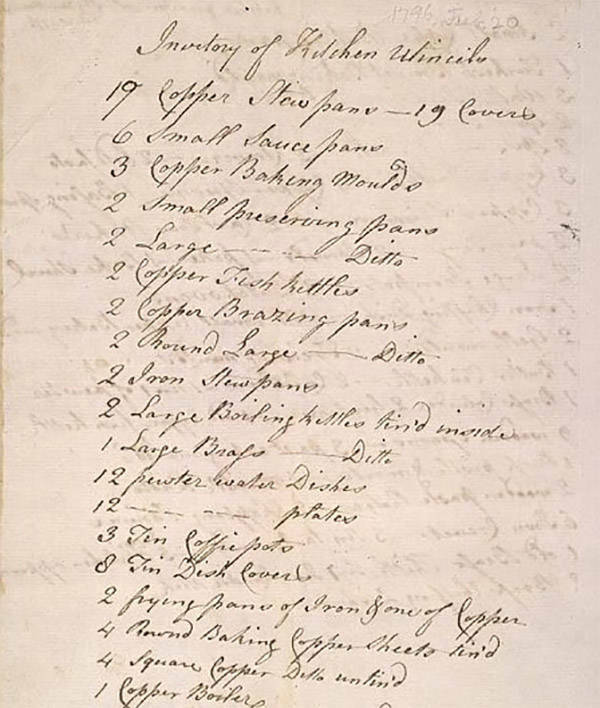 Library of CongressJames Hemings’ kitchen inventory list, written in 1796. However, Hemings, along with his sister Sally would later choose to return to the U.S. instead. While it seems curious that they would want to forgo freedom, historians believe that James and Sally opted to return to be with their family. At the age of 31, in 1796, James Hemings was freed by Jefferson. But before leaving Monticello, he would pass down his training and recipes to his brother Peter. As a free literate man who spoke English and French, Hemings became a traveler, finding himself in Europe and Philadelphia as a cook. In 1801, he even turned down Jefferson’s offer to work at the White House. Sadly, the age of 36, while employed as a cook in a tavern in Baltimore, he killed himself. It is said that he long suffered bouts of alcoholism. “We’re thinking that James Hemings must have had ideals and aspirations about his life that could not be realized in his time and place,” said Susan Stein, the Senior Curator at Monticello.